It’s winter. It’s cold and unforgiving. You’re a little bored, feeling cooped up inside and start to get hunger pangs. Do you head to the fridge or cupboard like I do? It’s common to turn to food to combat the cold and the seclusion and boredom of the winter months. Chickens feel that way, too. Luckily for the chickens in our charge, winter treats can be healthy and nutritious, and their boredom-busting properties can actually benefit your birds in multiple ways. Here are a few great winter treats to consider—always in moderation, of course. Scratch, a blended mix of cracked corn and other whole grains, is the quintessential winter chicken treat. The energy required to digest the scratch grains increases the bird’s body heat, helping to keep it warmer just when needed it most. Toss some on the ground to let your flock exercise their slumbering foraging skills. I’m quite sure there’s never been a healthy chicken that turned down scratch. Try your hand at making your own scratch with grains, like millet, oats, barley; seeds, like pumpkin and sunflower; and dried raisins or currants—all tossed together trail-mix style. It’s no mystery that greens and fresh vegetables are in rather short supply in most locales during the winter months. Without grass, weeds and other greens to forage, egg yolks begin to pale and chickens lose their pizazz. Greens are some of the easiest winter treats to procure for your poultry, no matter where you live. If you have a green thumb and some garden space, try growing healthy, cold-tolerant greens, such as spinach, kale and chard, in cold frames. When in doubt, chop up and toss some leftover salad greens to your ladies—ideally, sans dressing—for a nutritional boost. You may even choose to sprout some greens in your kitchen. The process of molting—losing and growing new feathers—often accompanies fall and winter weather. It’s an unavoidable part of being a chicken, and both the chickens and their keepers experience the repercussions of molting. The bad news: Those feathers zap a hefty amount of energy from the hen, often taxing your girls of their extra protein stores. If the shorter days of winter haven’t caused a plummet in egg production, molting certainly will. 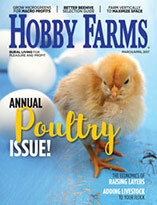 Supplementing your flock’s diet with protein, offered in cautious and mindful moderation, can be a wonderful way to support the molting bird’s needs during this time. 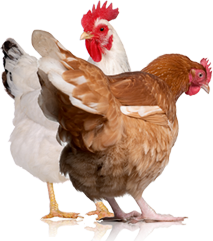 Mealworms, either dried or live, are hands-down an absolute favorite of nearly every backyard flock that’s ever been offered the luxury. Other sources of protein include scrambled eggs and canned (cooked) fish. For most of us, winter weather ushers in some serious need for warm comfort foods. Am I about to endorse spoiling your flock with extra-special, winter-only homemade treats? You bet. Warm oatmeal, jazzed up with some raisins or other small dried fruits, is a decadent treat for any flock. Other warm options include cooked lentils and a split pea soup. Dried oats, peas, beans and legumes can often be found in the bulk section of your grocery store, making this an affordable treat even if slightly time-consuming. Some of these items require soaking before the cooking process, so plan for a bit of preparation. For an added protein, mineral and nutrient boost, cook lentils, beans or peas in beef broth or bone stock. Whether you’re a human or chicken, few things are as important as gut health. Especially in the winter, when slim forage, cold temperatures and molting stress can tax a flock’s collective immune system, boosting their gut flora will work wonders in increasing their overall health and reducing their susceptibility to mites, lice and parasites. Of course, powdered probiotics are available for purchase, but a fun and easy way to provide beneficial bacteria is through offering cultured yogurt. 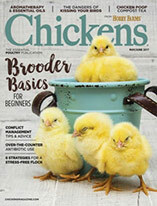 Yogurt is a favorite among chickens, especially if introduced early, and they’ll especially take a shine to it if there are fun things to peck at mixed in—think sunflower seeds, raisins and bits of scratch. Remember, plain yogurt is best and, like all other treats, should be offered in moderation. In the winter, something scrumptious that satisfies boredom as well as hunger is always a winner. With fewer bugs to feast on, less in the way of greenery and snowy days that leave a flock cooped up, winter boredom isn’t just a frustration: It can cause behavioral problems ranging from mild pecking to fatal cannibalism. Of course, treats alone won’t keep your birds from picking on one another. First and foremost, make sure their space requirements are met inside the coop and other factors aren’t causing undue stress. But distraction is always fun when the weather is too severe to play outside. Hang heads of cabbage from the ceiling of the coop or run for an edible chicken-piñata. Cut open winter squash (butternut and pumpkins are nutrient-rich favorites) and let the girls go to town on the seeds and flesh. Cooked, plain spaghetti, though lacking in nutritional value, always provides entertainment and exercise as the girls chase each other trying to steal the spaghetti. Winter is a time of rest and rejuvenation. It’s also a time of resourcefulness. Get creative and have fun with giving your flock treats.